Google for Jobs is convenient for your job search… but also everyone else's. What is the new Google for Jobs? Although only available in the US for now and it will only include job listings from a few major sites initially, that will improve over time. How many job board websites did you use on your most recent job search? One of the classic problems of using job boards on your job search is that many employers will re-post the same job openings on different boards. 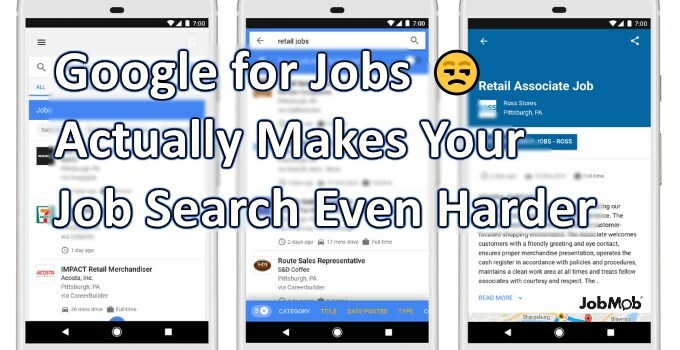 As a kind of job board of job boards, Google for Jobs will be able to recognize those duplicates and only show you the best listing in the bunch: the one with the most complete information (whatever Google considers that to be). Next, Google for Jobs should be able to save you time because you won't need to sign up for as many different job boards as you used to. You can just start your job search directly on Google and join a job board only when you actually need to apply to a job that Google found listed there. Finally, one little thing that's kind of cool is that because Google usually knows where you live, especially if you have an Android smartphone (but not only), you can filter job search results based on estimated commute time (although it would be interesting to know on what those estimates are based and how often they're updated). Google for Jobs would be an absolute home run if it was able to expose hidden jobs that aren't being filled because no one knows about them. THAT would be a real service to both employers and job seekers. But that's not what Google for Jobs does – it only features jobs coming from job boards or company sites who have made a conscious, programming-required effort to get their job listings caught by Google. Google for Jobs only includes published job listings, and no hidden ones. 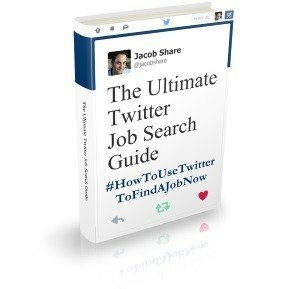 The fact that results appear directly in search results, and in the top-most positions, will tempt many job seekers who would have otherwise gone further into those results. Putting these two things together, you can see that the jobs Google will show you are going to be the ones that get the most competition. And it'll be even worse when they allow sponsored postings in the future. In other words, the Google for Jobs jobs will be the hardest jobs to get because they'll be seen by the most people. The silver lining is that if you're willing to look for hidden jobs and know how, you'll have less competition for them because Google for Jobs will now funnel even more people to apply via public job listings than would have in the past. 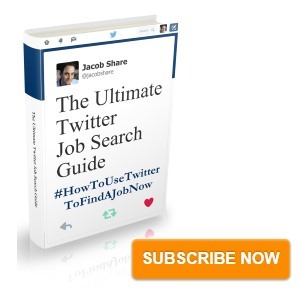 Subscribe to JobMob via email and follow me on Twitter for more straight-shooting job search insights. Those who want to try to thwart the Google Empire can use a company of Indeed (to cover job boards) and LinkUp (for company websites’ job listings). But yes, the overarching point is that people need to be accessing the hidden job market. Most people don’t know how to do that well. I tell my clients to read The 2-Hour Job Search. Oops, I meant “a combination of” Indeed and LinkUp.